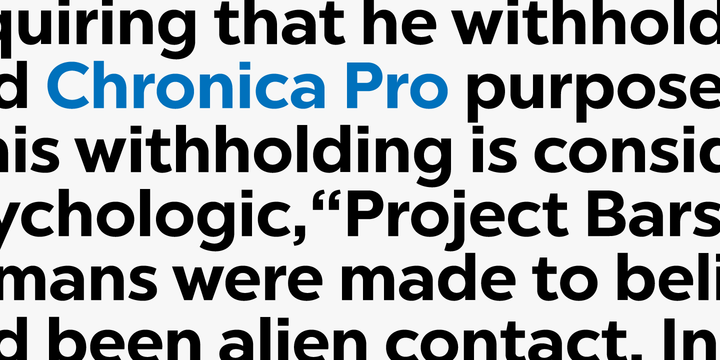 Chronica Pro is a sans serif typeface created by Olivier Gourvat and published by Mostardesign which was designed for professional use. It is a versatile font with a lot of details that makes it perfectly for any kind of projects, editorial, graphic design, signage, display, web, apps and so on. This humanist typeface with geometric body is available in 18 fonts, extensive language support and varios Opentype Features. A font description published on Tuesday, May 5th, 2015 in Fonts, Mostardesign, Olivier Gourvat by Alexandra that has 5,545 views.